A dream wedding. A magical pony called Confetti. 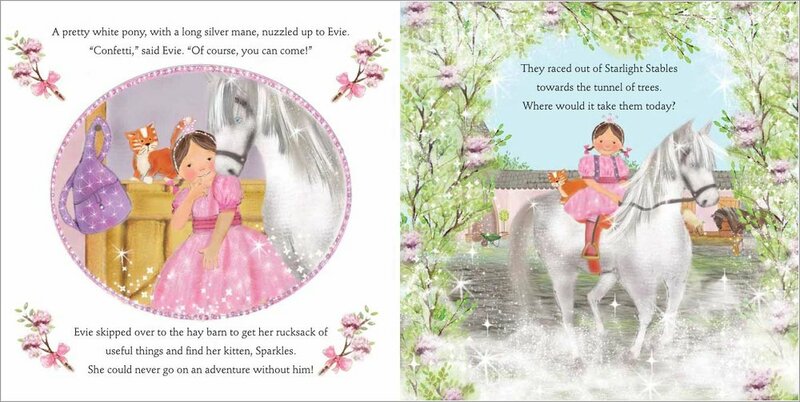 A fairytale jewel of a story with a press-out pony for you. Princess Evie is really lucky. 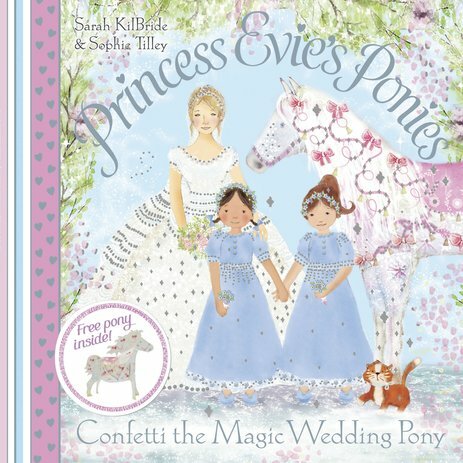 Not only is she royal, but she has her own stable of magical ponies – including a special pony called Confetti. Now Evie is trying to give a friend’s sister the perfect wedding day. It will involve a little pet dragon, some epic fireworks – and Confetti pulling a sparkling wedding carriage! Colour Willow so he’s ready for an amazing woodland adventure. 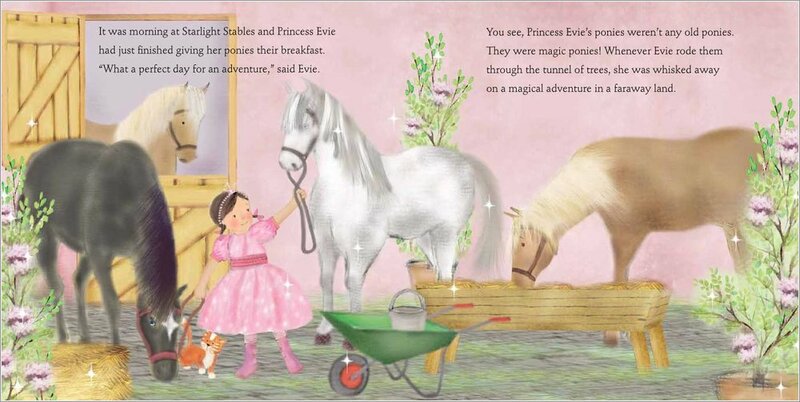 Design a magical new pony for Princess Evie. 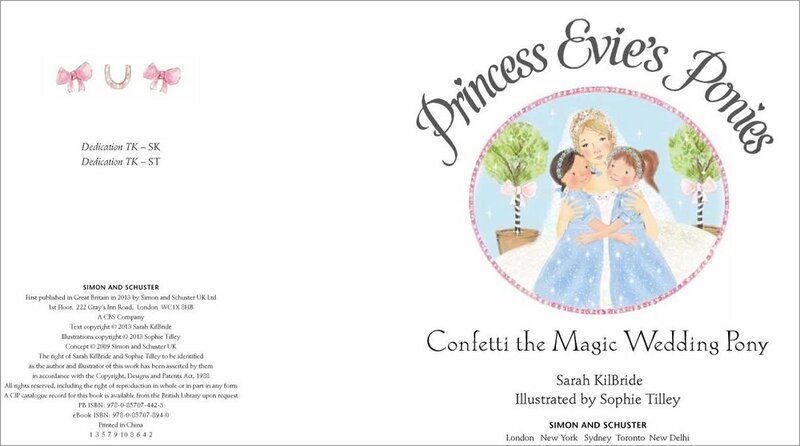 Join the dots to make a beautiful picture of Princess Evie. A beautiful picture of Silver the Magic Snow Pony for you to colour in! Become a princess and design your own beautiful tiara! Why not draw a picture of yourself or your favourite pony in this pretty rosette frame? Can you find all the magical words in this puzzle? Can you spot the 5 differences between these two pictures of Princess Evie?